Robotics and Artificial Intelligence is the key component of near future production. The use of robotics applications is increasing rapidly in different automobile industries. Already there are some robotics companies doing large scale production. The use of this technology will make huge change in our lifestyle, give us more potentiality, more sustainability more accuracy and make life more easy. 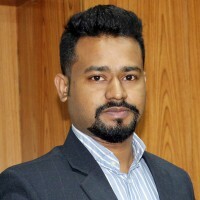 Bangladesh Robotics foundation provides a communication platform among the technology researchers and industrial people to bring across the positive impact robotics have on economic performance, and to ease fears of technology. I always welcome the young, energetic, potential and dedicated people who love to work with robotics and Artificial Intelligence to join this foundation for making a good technology research community and help to become Bangladesh self-dependent in technology.